Wow. Episode VIII was not what I, nor most other stars wars fans, expected. If you are anything like me, you were hoping for answers and understanding, but left with far more questions than answers. 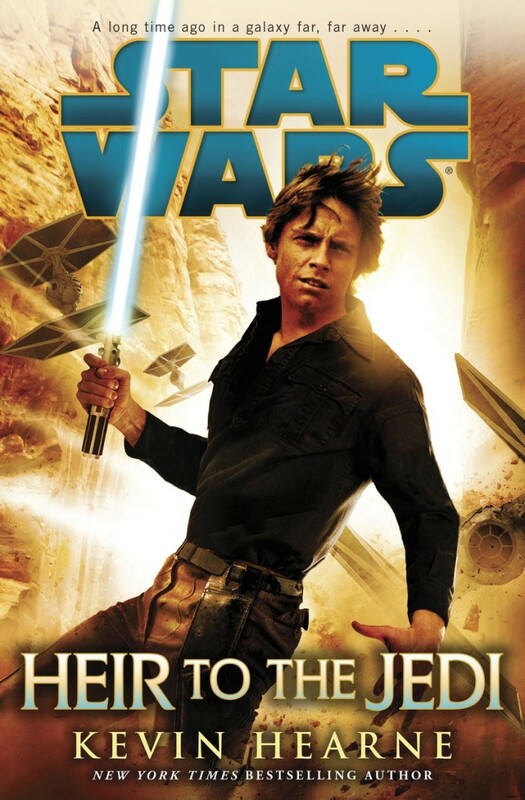 Of course the Star Wars Authoring Conglomerate knew how we would be feeling, so they had already begun their painfully slow release of literature to mop up and start to tie off some of the loose ends left frustratingly exposed. 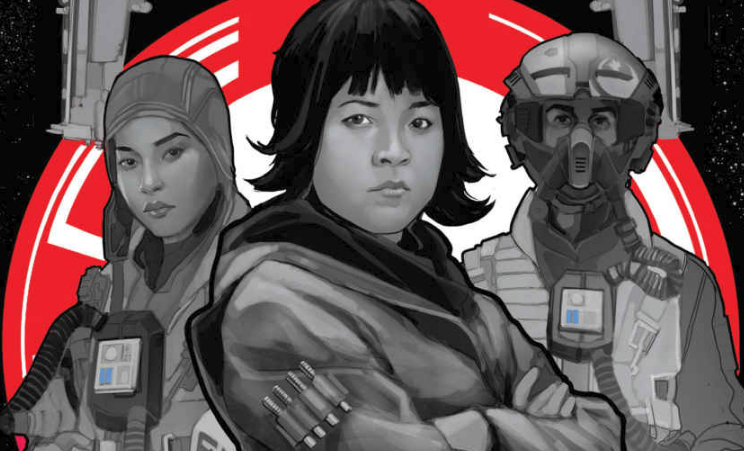 Cobalt Squadron is a short novella describing the backstory of both Rose and Paige Tico and the heavy bomber squadrons of the Resistance Fleet. The novella starts just a short time before and concurrent to the events in “The Force Awakens” and ends immediately preceding the beginning of “The Last Jedi.” Cobalt Squadron is one of several heavy bomber squadrons assigned to deliver both heavy payloads of ordnance over enemy targets or sizeable supply drops to allies and others in need. Paige and Rose are inseparable, and make an amazing team on the crew of the Cobalt bomber Hammer, flying dangerous missions into First Order territory and surviving skirmishes with TIE fighters. As Rose is basically the only new character in The Last Jedi, it is very fulfilling to learn more about her backstory. Paige and Rose came from a world ravished by the First Order war machine, and bring a righteous passion to their mission assignments to help other worlds in need. Seeing how inseparable the sisters are makes it all the more poignant to watch Paige sacrifice herself to rid the galaxy of a First Order Dreadnaught and buy some time for the fleeing, fleeting fleet. After reading Cobalt Squadron, I appreciate more the role of this ship as primarily an air to ground weapon in planetside operations. I can also appreciate the desperation of the Resistance fleet to scramble and use anything and everything they could do delay the First Order long enough to escape. I can also appreciate the bravery of the bomber crews, knowing they were not well equipped for the task at hand, but proceeding anyway. In short, this novella did a great job helping me come to terms with my initial reactions to the bombers. 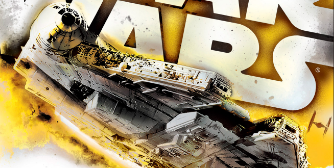 It is a great read, with good character development, plenty of action, and that good ol’ fashioned Star Wars underdog feel. 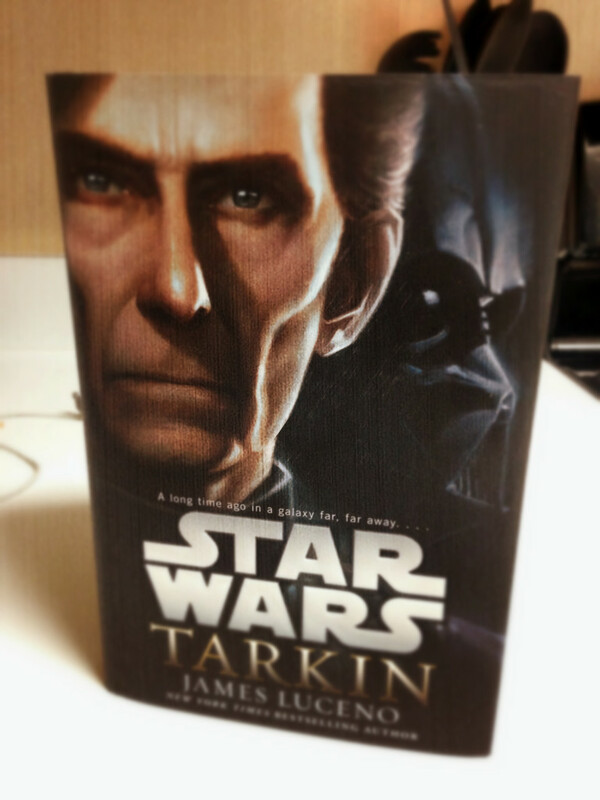 I recommend this read for all Star Wars fans! 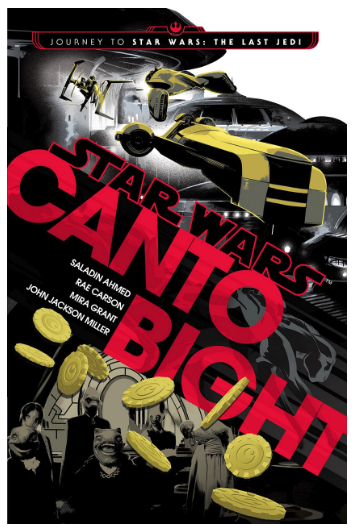 Canto Bight is the latest in the “Journey to the Last Jedi” series to build excitement and anticipation of the newest Star Wars episode. We’ve seen and heard much about the new casino city of Canto Bight, and know it will play a role in the upcoming film, so it is exciting to get a sneak preview of what this city is like and what may be awaiting Finn and Rose as they venture to the Star Wars version of Las Vegas. The book consists of four, moderately intertwined short stories. Each follows a non-essential character’s adventure in the exciting, opulent, and often dangerous city. The time frame is set sometime during the open conflict between the First Order and the Resistance, though it isn’t clear precisely when the events take place relative to “The Force Awakens” or “The Last Jedi.” We learn that news of the galaxy as a whole doesn’t quite make it all the way to the gamblers, hustlers, and those trying to survive amidst the rich and the famous. Stated differently, beings go to the bubble of Canto Bight precisely to get away from the news of the galaxy at large. As always, I have high expectations and hopes that the novels coming out in preparation for the new films will in some way prepare me for a more grand experience and deeper understanding of the Star Wars universe as a whole. In short, I was let down. 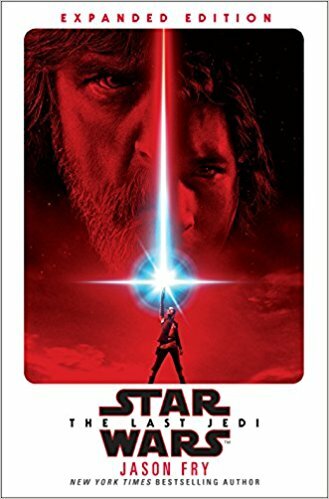 With the exception of a few lip service mentions of the First Order and the Resistance, there was little in this book that identified it with Star Wars at all. If the purpose of the book was to “familiarize” the reader with the illustrious world of Cantonica, then I guess it served its purpose. If a picture tells a thousand words, then a movie may tell a million. 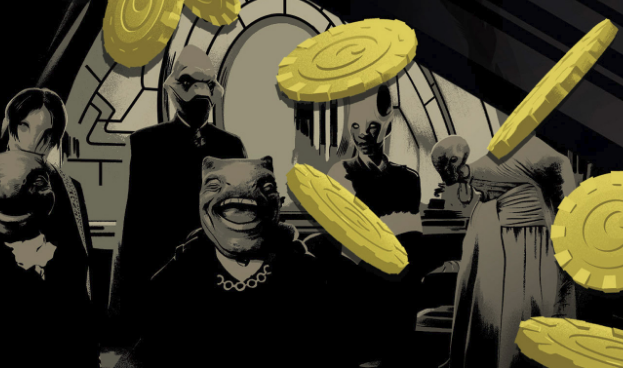 It is already clear from the previews that Canto Bight is a gambling, casino world. I can already imagine the type of danger, conning, and hustling that would exist in a world like that. The book didn’t really add much for me that the previews didn’t already show in just a few short seconds. Perhaps I am being a bit harsh. It is possible that there may be some more relevant, meaningful connections that become apparent as I watch “The Last Jedi”, though I suspect it might only be seeing a glimpse of one of the protagonists from the book and saying, “Hey, I know that guy.” Also, there was mention of arms dealing to both the First Order and the Resistance from crime lords stationed in Canto Bight. I suspect that this may provide some background context. Star Wars fans everywhere are anxiously counting down the days until December 16th, 2016 for the premiere of Rogue One: A Star Wars Story, which will tell the epic story of how the Rebel Alliance obtained the plans for the Death Star. 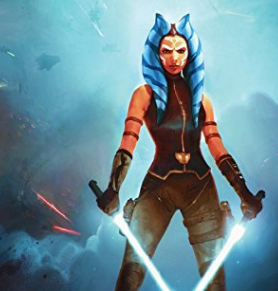 To build anticipation, Disney has released the young adult novel Ahsoka, written by E. K. Johnston, to tell the story of no-longer jedi padawan Ahsoka Tano and her adventures between leaving the Jedi Order near the end of the Clone Wars and her involvement with the Rebel Alliance. 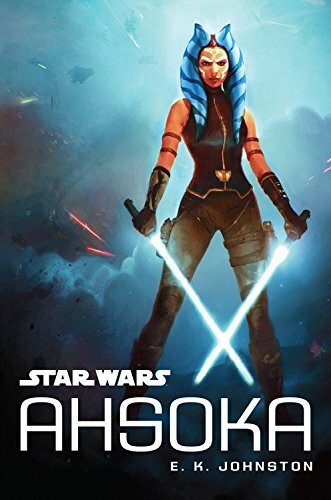 The novel does a fantastic job both exploring the specific story of Ahsoka, while also providing subtle, yet insightful clues about life in the galaxy post Order 66. Ahsoka Tano is arguably one of the most interesting characters in the Star Wars Universe. Before now, we have seen her incredible skill as the padawan of Anakin Skywalker during the Clone Wars and then later as the mysterious Rebel operator known as “Fulcrum,” aiding Hera Syndulla and her Rebel cell in the “Rebels” animated series. The story is set about 1 year after Order 66, though it occasionally jumps back to the events immediately preceding the execution order and how Ahsoka was able to escape with her life. Ahsoka, now going by the name “Ashla” to preserve her anonymity, is hiding in the Outer Rim to avoid Imperial attention and figure out what to do with her life. Believing Anakin, Obi-Wan, and all of her other Jedi friends to be dead, she is trying to become accustomed to an “ordinary” life as a wandering starship mechanic. It doesn’t take long, however, for Ahsoka to recognize and confront her inner conflict between self-preservation and her jedi instincts to protect the innocent. She finds herself in the middle of a local uprising on the remote agricultural moon of Raada during an Imperial occupation to harvest the moon’s resources. Ahsoka struggles to decide whether she will stay in hiding, or risk exposing herself to the empire to protect her new friends. The novel is very well written, with the right balance of action and introspection to give both excitement and perspective to the reader. We begin to understand how monumental Order 66 really was, and how it shook the galaxy to the core. After watching the films, we may take for granted our omniscience, not realizing that most of the galaxy didn’t know the simple facts that Emperor Palpatine is a Sith Lord, and that former Jedi Master Anakin Skywalker’s mangled face lies behind Darth Vader’s ominous mask. Throughout the novel, we also are given delightful tidbits about the mysterious process a jedi must go through to obtain a kyber crystal to construct a new lightsaber, and how the process has changed now that the Empire is in possession of the planet Ilum. We learn a bit more about who and what the inquisitors are that hunt the remaining Jedi and force sensitive children. And we come to understand better the pivotal role Bail Organa played in assembling the dissidents that would become the Rebel Alliance we have come to love in the original trilogy. I wholeheartedly recommend Ahsoka for all Star Wars fans, especially as a step in preparing for the Rogue One Anthology Film (read more about how I recommend preparing for Rogue One: A Star Wars Story). 2016 is a thrilling year for Star Wars fans! In the wake of The Force Awakens, we are left with dozens of unanswered questions about events occurring both before and after the epic film. Earlier this year, Claudia Gray’s “Bloodline” began to fit together select puzzle pieces while frustratingly avoiding many others. In “Aftermath: Life Debt” Chuck Wendig does a masterful job answering a few key questions while hinting at many, many others. I was giddy when I saw the cover of the book—the Millenium Falcon, outnumbered and being pursued by Imperial TIE fighters. Immediately the interlude from Wendig’s first book in the series came to mind. You may recall that Han and Chewie received a tip from an old friend about a window of opportunity to free the enslaved home world of the Wookies. Could this interlude set the stage for the story of the liberation of Kashyyyk? 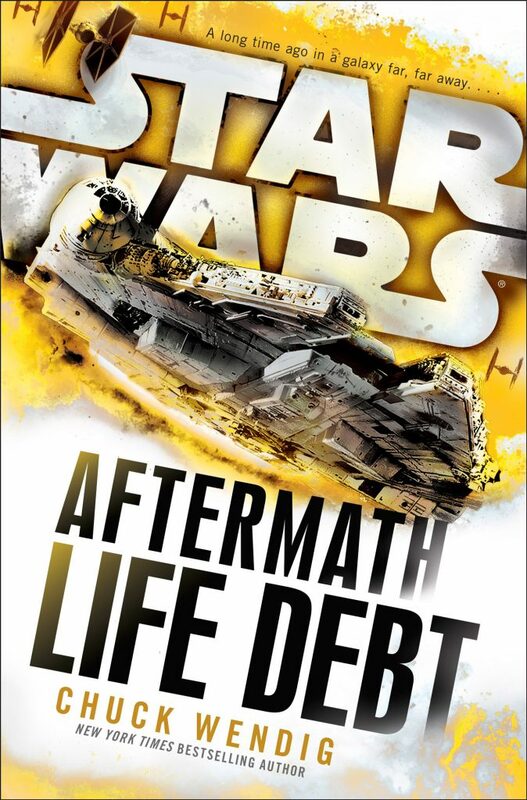 The cherry on top was the name of the book, “Life Debt,” surely a nod to Chewie’s life debt owed to Han Solo for saving the Wookie’s life. 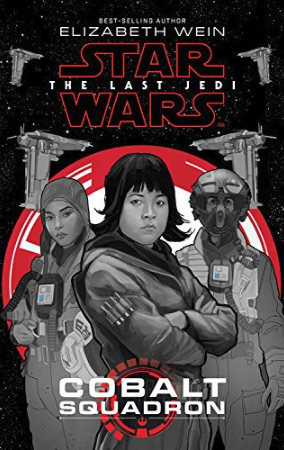 But when I started reading, what I got was a continuation of the rag-tag team thrown together in the first book of the series: Norra Wexley with her son Temmin, the bounty hunter Jas Imari, the ex-imperial Sinjir Rath Velus, the commando Jom Barell, and even Mr. Bones, Temmin’s maniacal custom-built battle droid. The story is set shortly after the events on Akiva. The Empire is fractured and on the edge of ruin, ravaged by internal conflict and New Republic victories. Grand Admiral Rae Sloane, whom we have come to know well by now, struggles to maintain control without upsetting her secret advisor, Gallius Rax. The New Republic fights to fill the void left by the downfall of the empire, while staunchly pursuing galaxy-wide demilitarization. Norra Wexley’s team is tasked hunting high-value imperial targets and bringing them to justice, until Leia Organa requests them to fulfill a covert mission without New Republic approval. My experience with the book was similar to watching the calving of a gigantic glacier. At first, I wondered what I was supposed to be looking for. The movement began ever so slowly, at different points, hinting at something much grander. But before I knew it I was experiencing violent crashes and surprising twists that had me turning pages faster than the Millenium Falcon on the Kessel Run. While I was initially let down by the apparent lack of my favorite Corellian smuggler and his Wookie co-pilot, I was enthralled by the turn of events in the end. “Aftermath: Life Debt” does a great job intertwining both new and familiar characters. Its interludes interject the right amount of plot teasing, including bits like another cameo of Boba Fett’s discarded Mandalorian armor and the liberation of Ryloth. 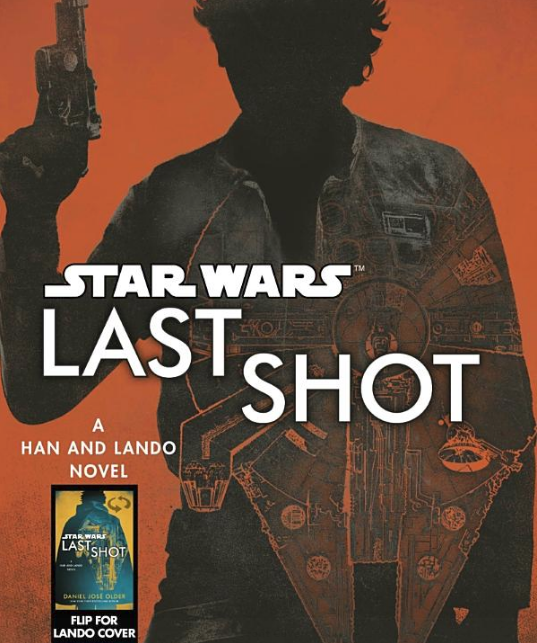 It has earned its place among the top of the new Star Wars Canon, and leaves me impatiently waiting for the final installment. Last year, Claudia Gray amazed Star Wars fans with her portion of the “Journey to the Force Awakens” series, Lost Stars. I personally read each canon novel in chronological order as part of a 6-month long marathon to prepare for the new film, and of the 16 novels I read, Gray’s was the most rewarding, most exciting, and most thought-provoking of them all. 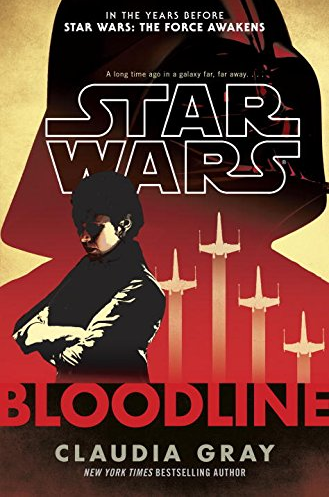 You can imagine my excitement to learn that Gray’s novel Bloodline was the first novel post The Force Awakens to begin to explore the world into which we were so abruptly thrown last December. The story is set 20 years after the fall of the Empire, roughly a decade before the events of The Force Awakens. When I first started reading, I was overwhelmed with anticipation that my many questions about the mysterious 3 decades between Episode VI and Episode VII were about to be answered. How did Ben Solo become Kylo Ren? Who is Supreme Leader Snoke? Who is Rey and who left her on Jakku? What happened between Leia and Han? Why did Leia need to organize the Resistance separate from the New Republic? When did the First Order first rear its ugly head? To both my consternation and my awe, Gray does a masterful job at answering only a few of these questions while leaving others a complete mystery. So if you are hoping this book will answer all of your questions, you will be disappointed. But if you are looking to better understand how the New Republic could possibly come to a point where Leia, who has dedicated the entirety of her adult life to establish the New Republic in the aftermath of the Empire’s downfall, would leave a life of politics to lead the Resistance against the emerging threat known as The First Order, then this book is for you. Senator Leia Organa is struggling to bring together a divided senate, knowing the dangers that face a fractured government. She decides to take matters into her own hands to investigate a crime syndicate, led by Nikto crime lord Rinnrivin Di, threatening to destabilize the region around Ryloth. To her dismay, she is accompanied by her political and ideological rival, Senator Ransolm Casterfo in an effort to keep the investigation “objective.” This investigation kicks off an epic adventure, which exposes a deeper, sinister plot aimed to destroy the New Republic by a dangerous threat thought only to be legend. Organa and Casterfo struggle to put political differences aside to unite against the greater threat, and in so doing realize how deep the divide in the New Republic really is. Just as she did in Lost Stars, Gray masterfully exposes the most human elements of her characters as we witness Leia’s courage in persevering after losing both her biological and adopted parents in the same war that destroyed her home planet of Alderaan. We learn that the line between good and evil is especially blurry when it comes to political ideology, and how otherwise good people who are unwilling to understand another point of view are capable of collectively accomplishing great evil. This is a must read, building on the events in the Aftermath series and shedding light on how the great potential of Mon Mothma’s New Republic could be reduced to rubble just 30 years later. Lets cut right to the chase. 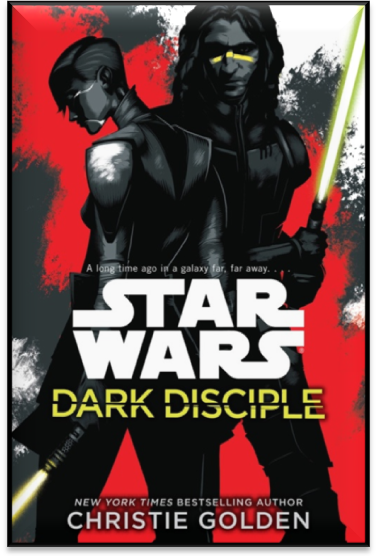 Dark Disciple, written by veteran Star Wars author Christie Golden, is easily the most superlative story to come out of the new line of canon. While the other stories that have come before have captured the Star Wars universe well, Golden gives us a top-notch story that we all have been waiting for. He’s the scion of an honorable and revered family. A dedicated soldier and distinguished legislator. Loyal proponent of the Republic and trusted ally of the Jedi Order. Groomed by the ruthless politician and Sith Lord who would be Emperor, Governor Wilhuff Tarkin rises through the Imperial ranks, enforcing his authority ever more mercilessly… and zealously pursuing his destiny as the architect of absolute dominion. Rule through the fear of force rather than force itself, he advises his Emperor. Under Tarkin’s guidance, an ultimate weapon of unparalleled destruction moves ever closer to becoming a terrifying reality. When the so-called Death Star is completed, Tarkin is confident that the galaxy’s lingering pockets of Separatist rebellion will be brought to heel—by intimidation… or annihilation. Until then, however, insurgency remains a genuine threat. Escalating guerrilla attacks by resistance forces and newfound evidence of a growing Separatist conspiracy are an immediate danger the Empire must meet with swift and brutal action. And to bring down a band of elusive freedom fighters, the Emperor turns to his most formidable agents: Darth Vader, the fearsome new Sith enforcer as remorseless as he is mysterious; and Tarkin—whose tactical cunning and cold-blooded efficiency will pave the way for the Empire’s supremacy… and its enemies’ extinction. Readers of Yoda’s News can expect a review in the next few days, hopefully before its release on November 4th, 2014. You can preorder the book now for only $19.53 on Amazon. 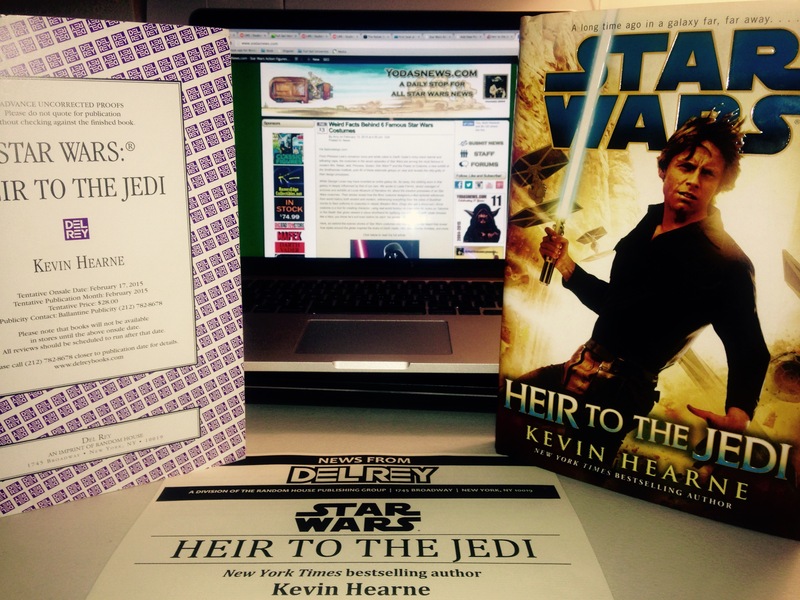 Special thanks to Alexandra Coumbis and Del Rey Books for providing Yoda’s News with a review copy of this novel. You can follow Alex Rybak and Yoda’s news via Twitter at @arybak89 and @yodasnews.